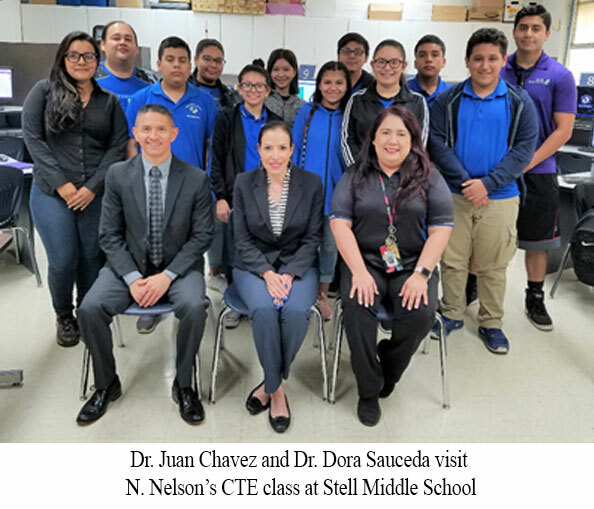 The Brownsville Independent School District is enhancing its Science-Technology-Engineering-Mathematics (STEM) Education through the utilization of GameSalad. It is the first district in the state of Texas to make this computer science software available to all of its Middle School students. Dr. Juan Chavez, Administrator for the Career and Technical Education Department, explained that each student is given an individual account which allows them to access the software not only at school but also away from campus whenever they have internet access. He added that the software introduces students to computational thinking and coding fundamentals as they build their mobile games. Also, through the GameSalad dashboard, teachers and administrators can monitor student progress at all times as they go from lesson to lesson. Brent Dusing, GameSalad CEO summarized the collaboration by saying “We are excited to be working with the innovators in the Brownsville ISD to bring Computer Science to all their Middle School students. The STEM skills gained by the students will give them a huge advantage in the 21st Century workforce” View additional photos.